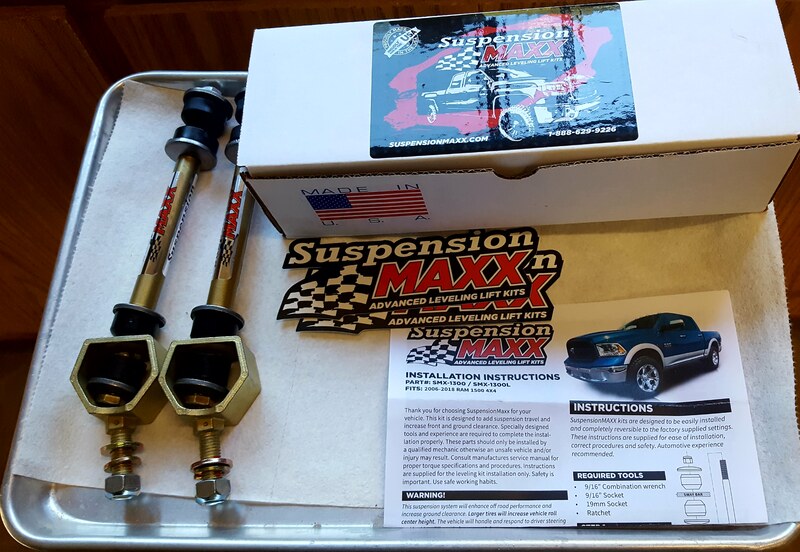 I installed the Suspension Maxx 1300L End Links made for trucks with a 1" - 3" lift. 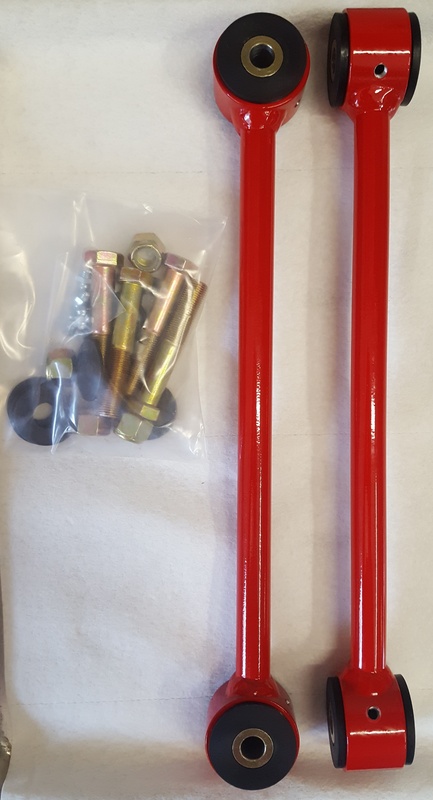 I wanted to install these because I recently lifted my truck 4" and leveled it with the rear and after the front sway bar angle was off. These were $130 off Amazon and an easy DIY. Just need cresent and socket wrenches and no need to remove the tires though I did put my truck on ramps. They'll custom make you some if your measurements are different (just email them) but my measurements were good for their 1300L's. They are definitely STOUT and will work great for off roading though I doubt I'll ever put them through their paces. 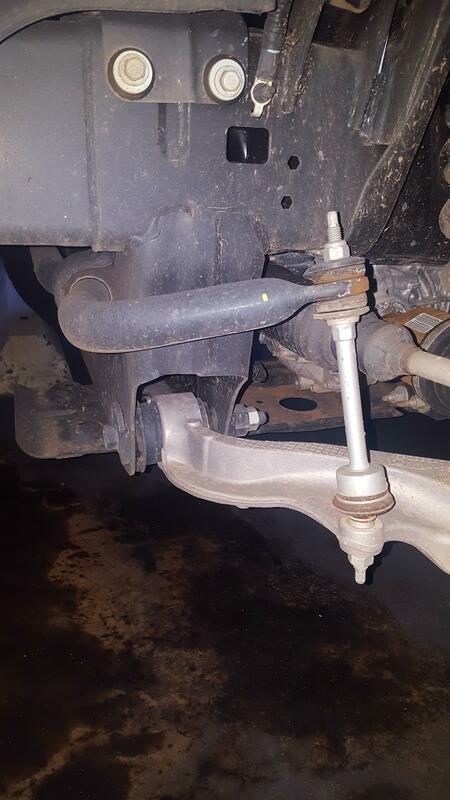 My front sway bar is now back at the proper angle and I'm happy. I will report back after I get some miles on them. 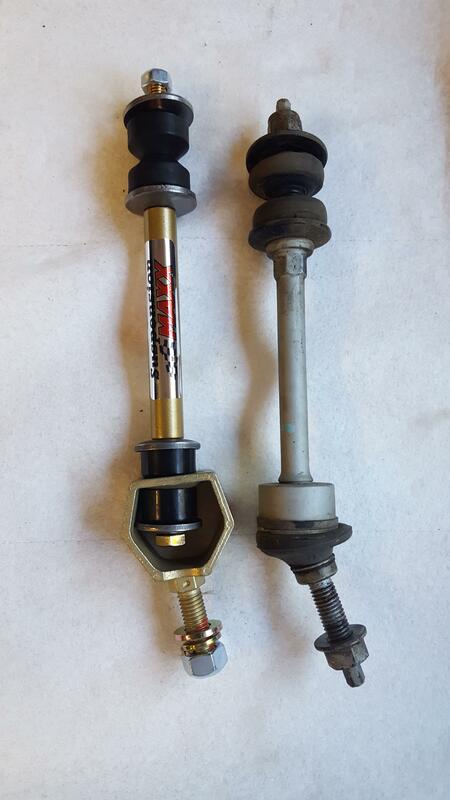 *my Core 4x4 rear end links will be here on Monday and I'll make a post for those too. Looks much better, just keep an eye on them, one user on the other forum had an issue with the bushings constantly becoming loose and needing to retighten the top nut. 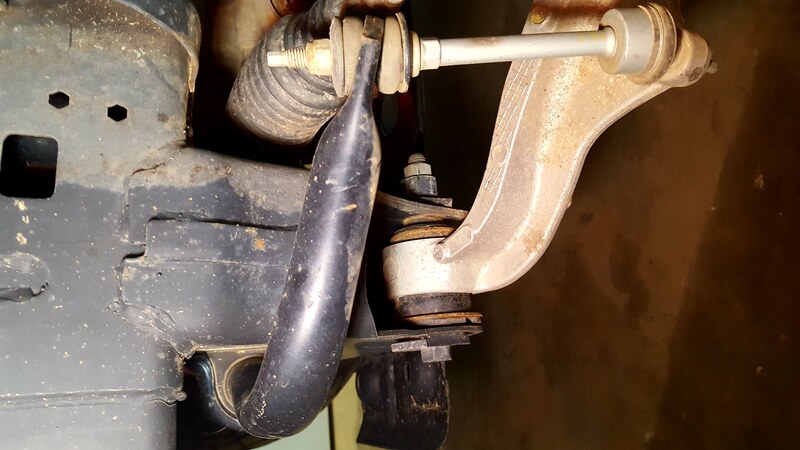 It's easy enough to sway those bushings tho so it's not a big issue, but just something I've seen mentioned to keep an eye on. So on a side note, I did a full size trail ride Sunday and there was a local forum member from the rebel forums. We met up and after talking with him and looking his build over I caught on to the fact that a stock rebel with leveled air suspension runs at these same heights as your truck while set to offroad mode. This dude beat on his rig all day without issue, and I mean he whooped it good all on oem control arms and everythibf. So long as you put together a solid kit I don't believe you'll have any issues. With the adjustable links set for a level/ plus the 2" added height in offroad 2 mode he was just under 2" higher than me from the center of his hub to fender lip. Seeing is believing. Keep an eye on things, maintain properly and enjoy! 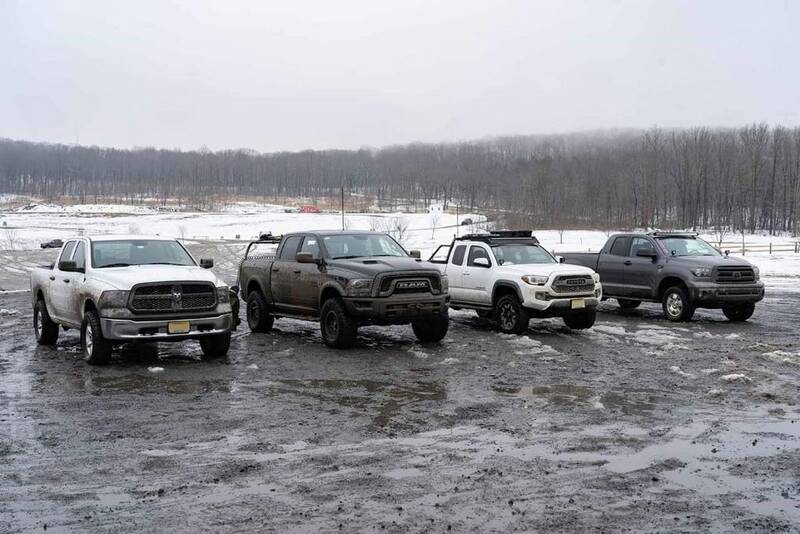 My truck is far left, and for reference I'm on 2.5" of lift front 1" rear and 285s. 4x4 endlinks. I love mine. Amazing quality. Good point. Thanks for the heads up. If they start backing off maybe I'll add a little red locktite. Good to hear! I appreciate the comparison. Maybe I'll womp on it a little more tomorrow morning when I take the kids out fishing. Definitely gives a little more confidence. Here's a stock 2019 RAM 1500 Classic for comparison. 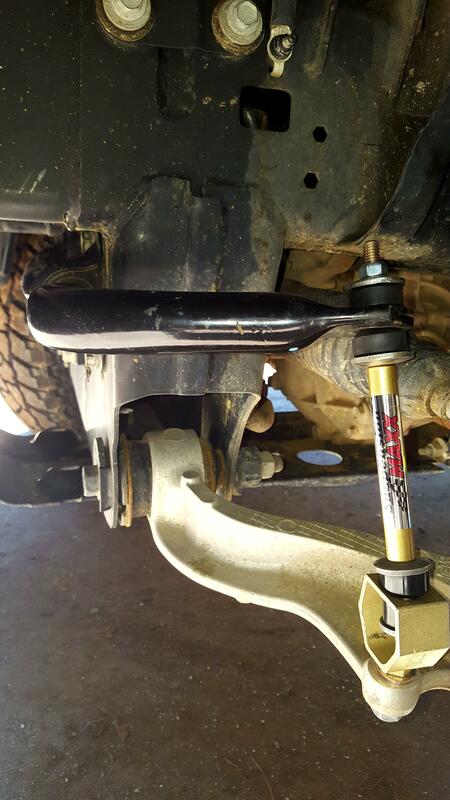 CORE 4x4 rear end links were delivered today. Will report back after I install them. I have the air ride suspension on my 18' RAM limited. 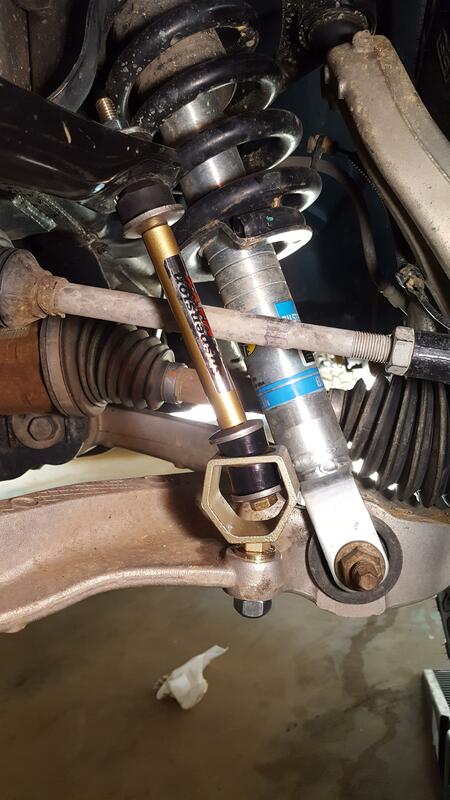 If I did the 2 inch leveling links, how much does that change the upper control arm and cv angle? Anyone have pictures. I spent a lot of money on this truck and would love for it to look leveled but not at the expense of other things wearing out. How are these front links holding up? A member on ram forum has them but he's still reporting his 2nd set still make noise over bumps. Links are working well. No squeaks and the top nuts seem to be holding their place and not backing off. I would have added some locktite had I known before that others have had an issue with that. But for now I'll just keep an eye on them. They are "hard" to get adjusted correctly since it's all by feel. No torque specs or absolute settings. So I can see how too tight or too loose could cause squeaking. I wonder if some water resistant grease like Schaeffer's 238 Supreme Grease rubbed between contact areas and the bushings would help. 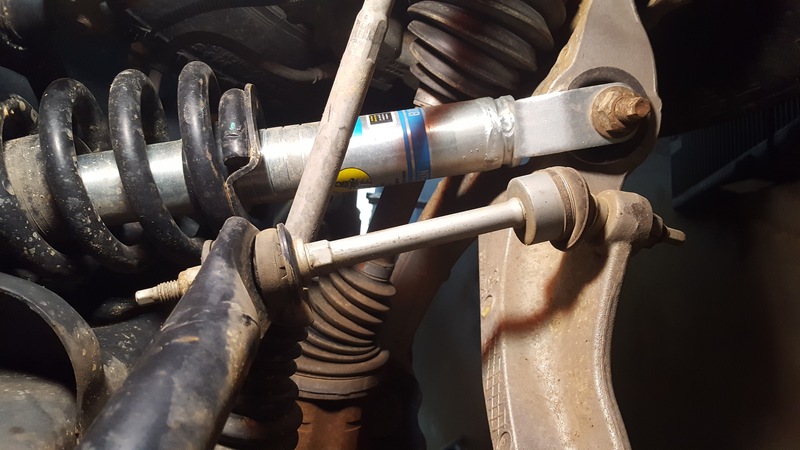 sway bar end links and track bar drop bracket?